Montana’s oil and gas tax holiday, instituted by the legislature in the 1999, provides a huge and unnecessary tax break to oil and gas companies. They pay a tax of only 0.5 percent of the production value for the first 12 months of production on all wells and 18 months on oil and gas from horizontally drilled wells. After the grace period ends, the rate goes up to 9 percent. We have often looked at the damaging impact of the oil and gas tax holiday on infrastructure, with a particular focus on Sidney, a bedroom community for the Bakken, which is struggling with a need to improve roads, water treatment facilites, schools, and jails while oil companies profit. 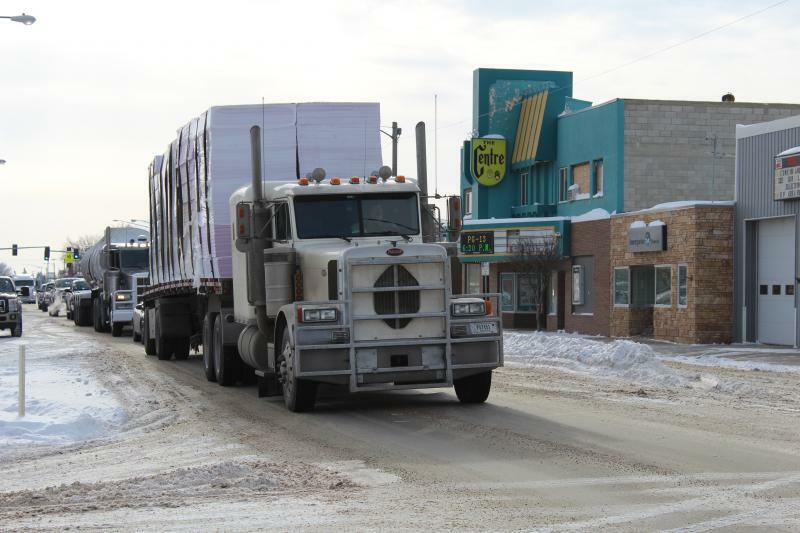 Central Avenue in Sidney is inundated with truck traffic. For legislators looking to even out the boom and bust impact of the oil and gas industry, it makes some sense to argue that a holiday is justified when oil prices bust, as they have recently. But when oil is booming along at $100 a barrel, it’s ridiculous to deny the state revenues necessary for infrastructure rebuilding while the oil companies are making huge profits. SB 374, introduced into the Senate Taxation Committee in this session, by Senator Christine Kauffman of Helena, would impose a “trigger” on the current tax holiday that would require oil and gas companies to pay the full 9% tax when the price of gas rises above $52.59 a barrel. This is a fair trigger — it protects company profits when prices are low, and requires them to pay when prices and profits are high. The bill would also increase funding for cities and towns impacted by oil development by requiring that half resulting revenue would go to oil and gas producing counties, with the other half of revenue going to the state general fund. The bill could be heard in Committee as early as Wednesday, so your action is needed to help get this bill out of Committee on onto the Senate floor. UPDATE 3/17/2015. Op-ed by Senator Kauffman on SB374. Leave a phone message for the committee members. Call the Capitol at (406) 444-4800 during business hours: 7:30 a.m. to 5 p.m. Leave a message for the members of the Senate Taxation Committee asking them to vote YES on SB 374. You also can email the Committee. Use this online form. About halfway down it will ask you to choose which committee. Don’t wait — this bill will protect Montana communities. Yours could be next. This entry was posted in Politics and History and tagged infrastructure, Oil and Gas Tax Holiday, SB374, Senator Christine Kauffman. Bookmark the permalink.